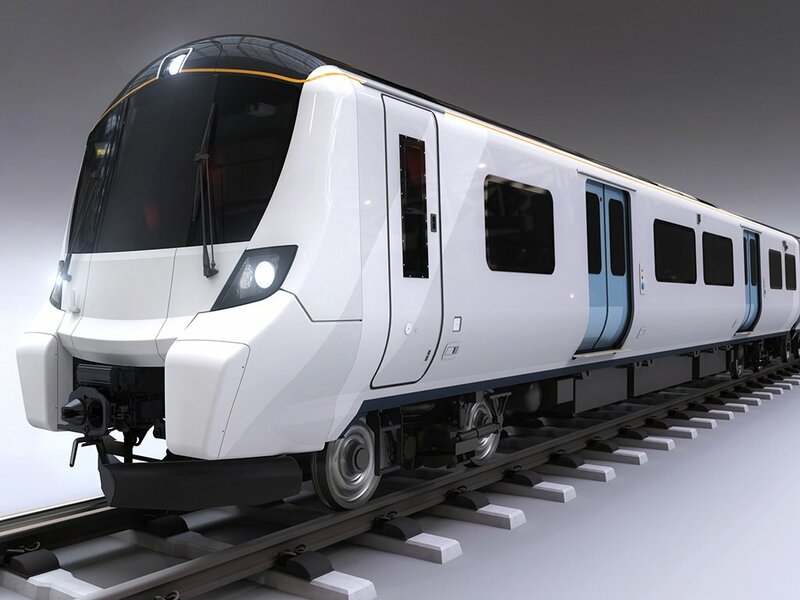 Govia Thameslink Trains has concluded a financing deal which will allow it to replace the current 1976-vintage trains that run on services from Moorgate, which include the Hertford Loop. The 25 new trains, built by Siemens, will enter service in late 2018. The Moorgate service require special dual-voltage trains as the underground section, the "Northern City Line" between Moorgate and Drayton Park, uses a DC third-rail system, while the remainder of the route uses AC overhead power. Additionally, the short platforms on the Northern City Line mean that trains can be no more than six coaches long. In contrast with the current trains, which are made up of either one or two three-car units (ie three or six coaches in all), the new trains will be six-car units, so all services will be run by full-length trains. Full Passenger WiFi functionality built in. Drivers for early evening and all the daytime time trains would also help with the basic mission of a railway. And as for all northbound trains from 2228 onwards, ".may be subject at alteration..", ie not there at all. A bit more commitment to run a railway late evening would often be appreciated. More than mere detail of the new trains, we now have an operating photo! ...and here's a short video about the new trains. PS Don't try mimicking the cover shot yourself! It's pretty easy to tell whether or not you're on a Hertford Loop train at Ally Pally: if you're on platform 6 with vegetation on your left and the platform on your right, you are; if you aren't you're not. That's aside from the announcements and indicator boards wherever you got on and at intervening stations. Karl Brown wrote: More than mere detail of the new trains, we now have an operating photo! On my way home from work I once got on a train at Kings X expecting to change at Finsbury Park. Unfortunately, it was one of two trains with the same departure time, and this one had first stop Royston. When we arrived there I got off, only to hear an announcement that all trains to London were halted due to a stuck level crossing. Fortunately, within half an hour they managed to unstick it and I managed to get back to PG without having to face a ticket inspector (I was using a Zone 1-4 travelcard). Bill’s obviously a lot smarter than me but in our defence (for I certainly wasn’t the only one that evening who mistakenly ended up in WGC) the KX announcements and boards were wrong (this being when our evening trains started there). And once out of FPK the train didn’t stop at Ally Pall to check where the vegetation was! Broken down train at Drayton Park this afternoon required rerouting to KX and delayed things by about an hour. No mention if it was new variety of train or simply an old continuing to struggle. Possibly the wrong sort of snow on the tracks, or threat of. I don’t want to get too excited but I thought I saw indicator boards INSIDE the train telling you the next station stop. Really? After all this time of tweeting and complaining about not being able to see station signs after dark and asking for driver announcements, maybe GNR actually listened? However there was no mention of this from Geoff so I don’t want to get my hopes up....In the meantime, we will still have to put up with this problem. Does anyone know why the driver can’t announce the approaching station?